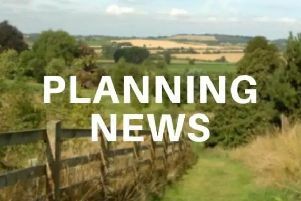 A sum of £25,000 looks set to be stumped up by Daventry District Council to explore ‘unitary options’ for the county. The district council will discuss the proposal at its meeting tonight (Thursday). The recommendation is that DDC sets aside up to £25,000 from its general reserve fund to go towards the joint appointment, with other districts and boroughs, of a consultant to investigate options for unitary governance in Northamptonshire. Each of the other districts and boroughs in Northamptonshire will be contributing the same amount. However, Northamptonshire County Council will not be part of the project. At the moment issues like planning, housing benefit and bin collections are dealt with by the district council, while child and adult social care, highways maintenance, disposing of domestic waste and education fall to the county council. Unitary authorities combine the powers of county and district councils. Supporters of unitary bodies say they can simplify the situation for residents as there is only one council responsible for everything. The authorities can also achieve savings through economies of scale and avoiding duplicating work. But unitary authorities cover larger areas than districts, and there is a risk that people feel power and decision-making is being taken away from local people. With reductions in funding from central government, the councils are looking at ways to work together to keep services and save money. In the past Northamptonshire County Council pushed for a county-wide unitary authority – something Daventry district, and the other district and borough councils, described as the ‘worst option’. More recently the new leader of the county council Heather Smith said consideration of unitary options should only start when NCC has gone through its ‘transformation’ of services – hiving off services into trusts or contracting them out to private firms and cutting back its staff to about 200 people. It seems the districts are not willing to wait for the county council, and are pushing ahead. The the option preferred by the district and boroughs would be for two or more unitary authorities covering the county – perhaps one for Daventry and South Northants, one for Northampton, and one or more covering the east of the county. They could also pool resources to deal with issues like transport or waste disposal.